Who doesn’t love pizza? It’s the ultimate comfort food, isn’t it? 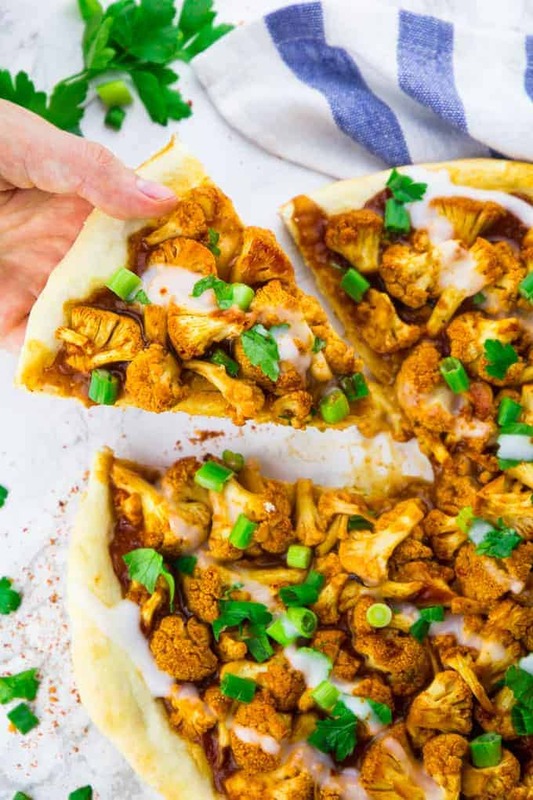 These 19 drool-worthy vegan pizza recipes will impress vegans, vegetarians, and meat-eaters alike! Just because vegans don’t eat cheese they definitely don’t have to miss out on pizza! 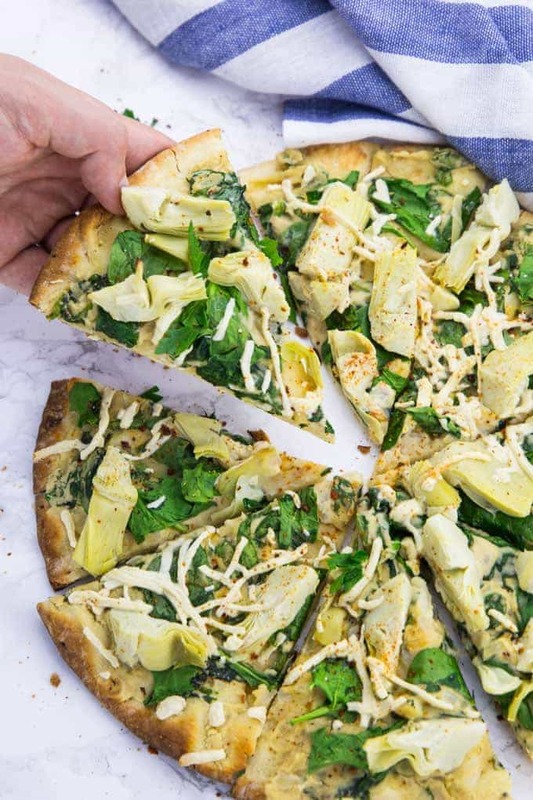 These 19 vegan pizza recipes are the perfect proof! Oh, how I love homemade pizza! 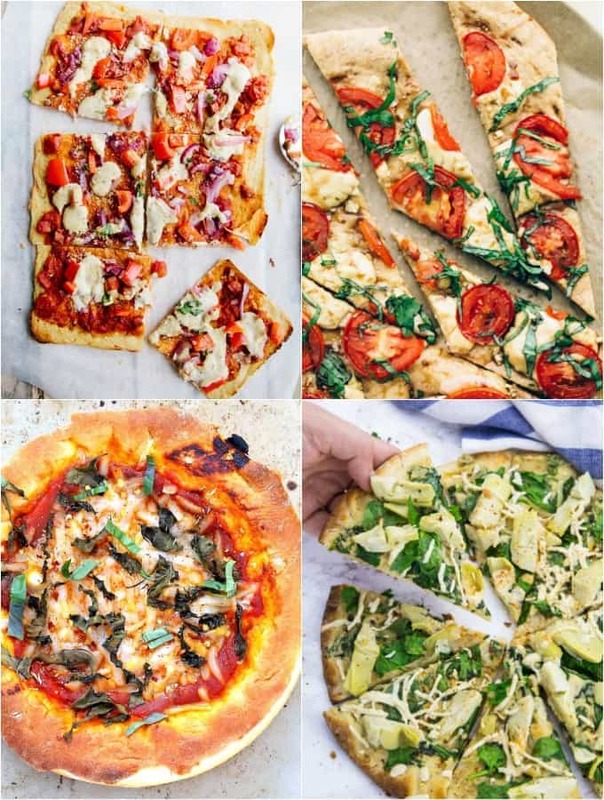 I’ve already got some delicious vegan pizza recipes on the blog, but to provide you with even more vegan pizza recipes I teamed up with some fellow food bloggers. 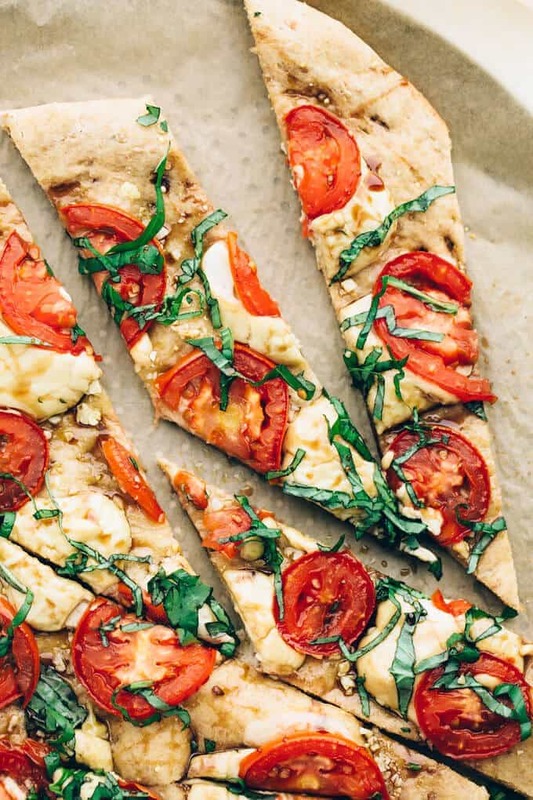 We’ve got 19 stunning vegan pizza recipes for you. And I’m sure there is something for every taste! Pizza heaven, here we come! When I was a kid, we always had pizza on Friday nights and we were so looking forward to that. We called it our “Friday night pizza parties”. We made a huge pizza and then we were allowed to stay up until ten and watch TV with our parents or play games. Good times! 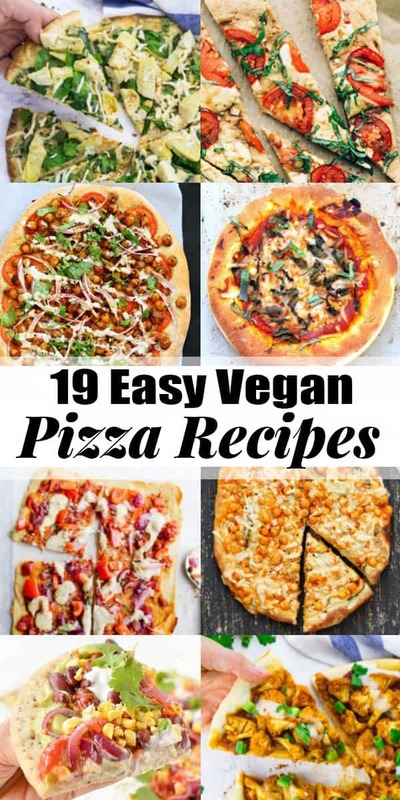 Now that I’m vegan, I still love pizza and there are soooo many delicious vegan pizza recipes! As always, you have to click on the title above each photo to see the recipe. So let’s get this pizza party started! 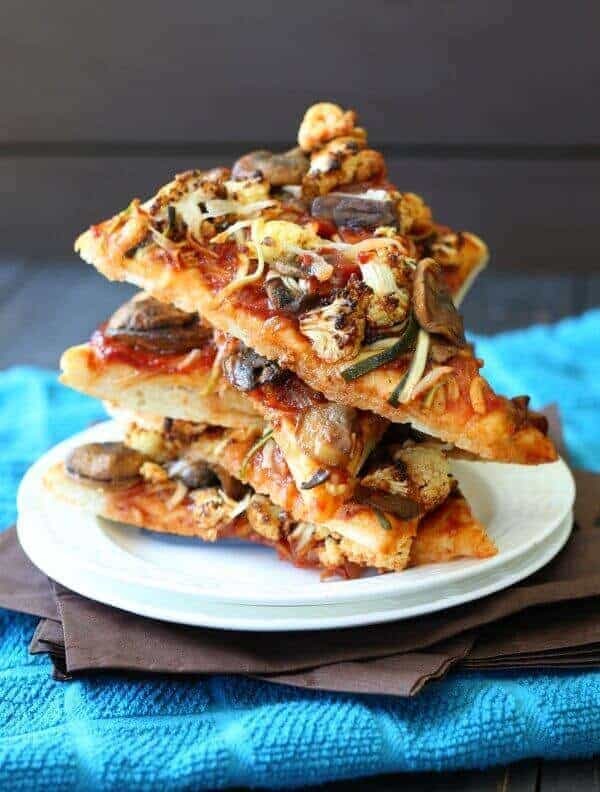 I hope you like these vegan pizza recipes as much as I do! What’s the best vegan pizza dough recipe? My vegan pizza dough is super easy to make and really crispy. I make it all the time. Probably you’ve got all of the ingredients for this easy pizza dough at home. Combine the dry ingredients in a bowl. Slowly add the olive oil and the warm water. Top the pizza dough with your favorite toppings. I usually bake my pizza dough for 12-15 minutes. 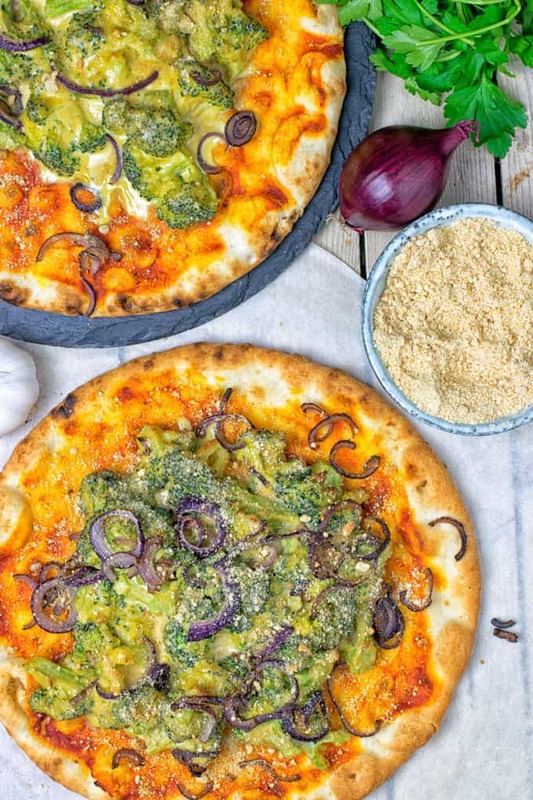 If you’re looking for a yeast-free pizza dough, check out Bianca’s recipe. What are the best vegan pizza toppings? As you can see in this roundup, there are soooo many delicious vegan pizza toppings. You can be super creative! I hope you enjoyed these vegan pizza recipes as much as I do! 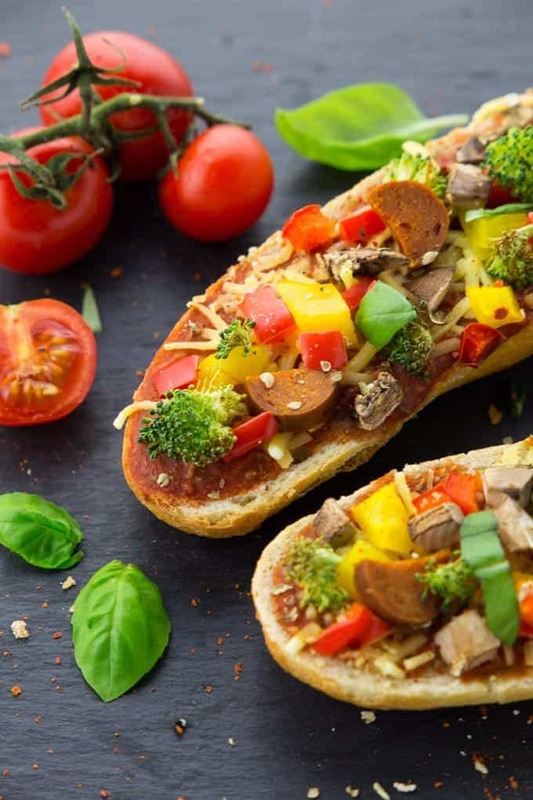 Don’t forget to pin or share this post so you have these vegan pizza recipes ready when you need them! I Love the most VEGAN DEEP DISH PIZZA. Thanks for other recipes too. base, marinated zucchini, artichoke hearts and roasted garlic – it’s a winning combination. pickled jalapenos add some nice heat.